JBANC, in coordination with the Estonian American National Council (EANC), began a series of visits with key congressional offices to discuss common issues of concern to the Baltic-American communities. On January 13, meetings were held with staff from the offices of House Foreign Affairs Chairman Ed Royce, Rep. Brad Sherman, and House Baltic Caucus co-chairman Adam Schiff. 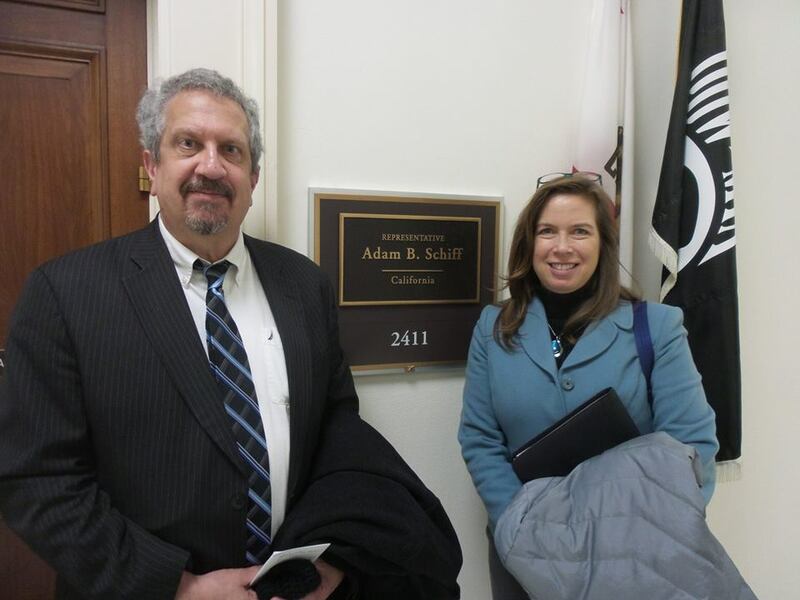 Pictured are JBANC Managing Director Karl Altau and EANC Washington, DC Director Karin Shuey.